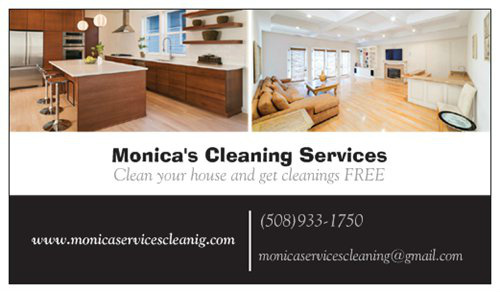 We will make your life easier and cleaner, Our goal and your satisfaction with our services provided to you and your family ..
Monica's Cleaning Services is a reliable, cost effective and secure home and office cleaning services. We strive at what we do. We clean your home as if it was our own.Our specialty is our process of "Green Cleaning" featuring certified EcoClean Solutions for environmentally safe cleaning solutions. This means you don't have to worry about an infant, pet, medically challenged or elderly member of your household. Just request information on getting such services. References available at any time and we provide free on site estimates.